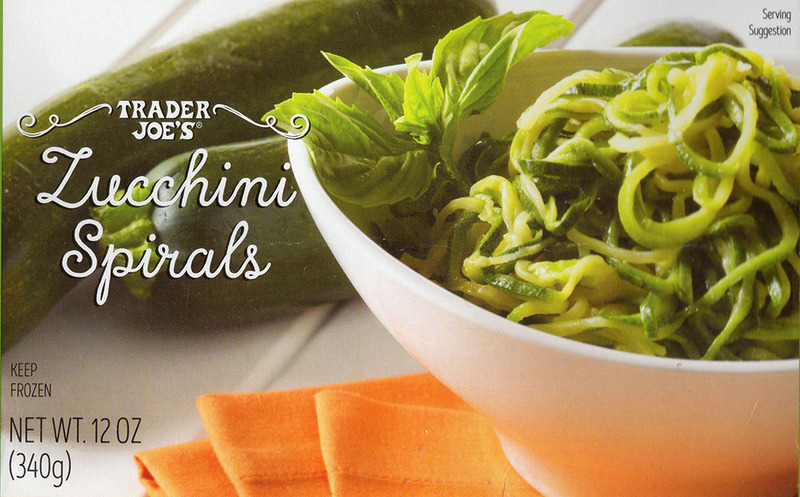 Are Trader Joe's Zucchini Spirals any good? Yes! 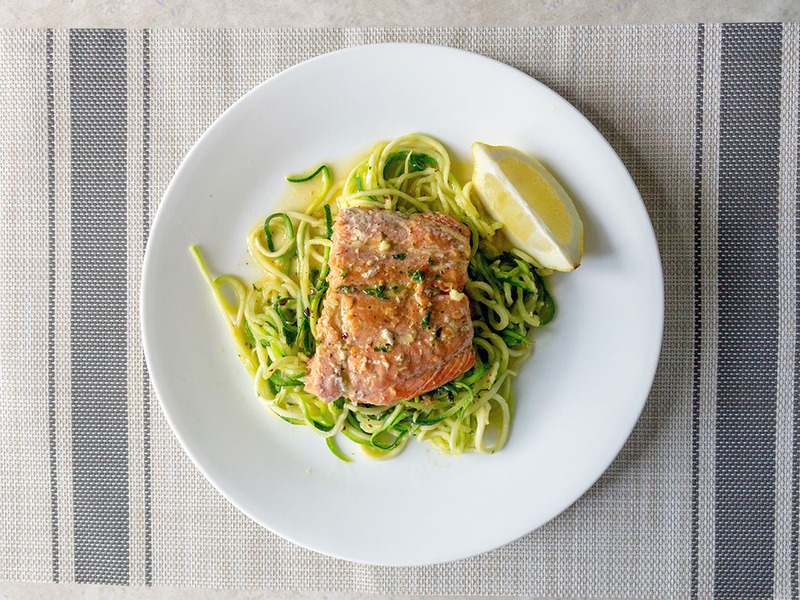 If you’ve never tried zucchini noodles before – or zoodles as they’re also known – this is a simple way to see if they’re for you. If they are you might want to invest just a little extra into a spiralizer. If you spend any amount of time in the kitchen, you no doubt spend another good portion of time rummaging through cookbooks or on recipe websites. As such you’ve probably come across zucchini noodles time and again – as THE next big thing, they’re all the rage right now. So much so, plenty of retailers have jumped on the craze with their own product. 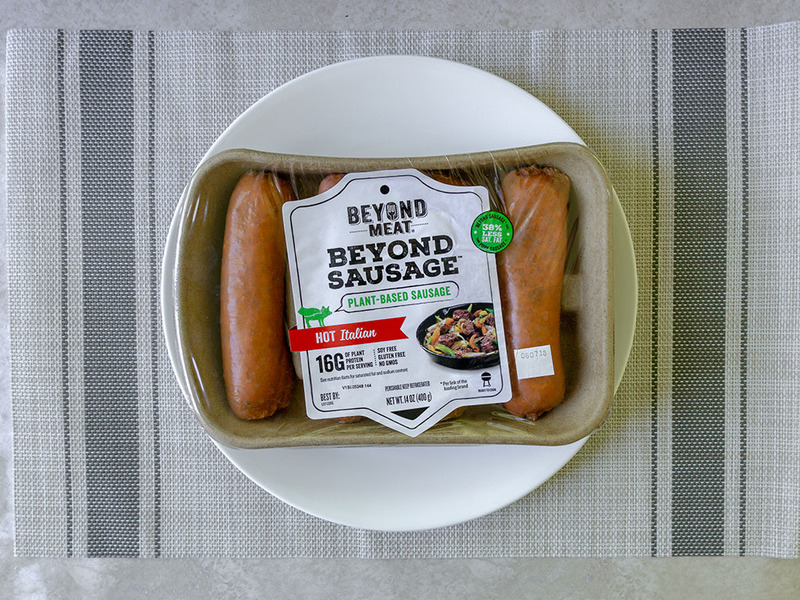 This item comes from the ever reliable Trader Joe’s – which is usually as good as a seal of excellence as you’re going to find; especially from such a larger national retailer. 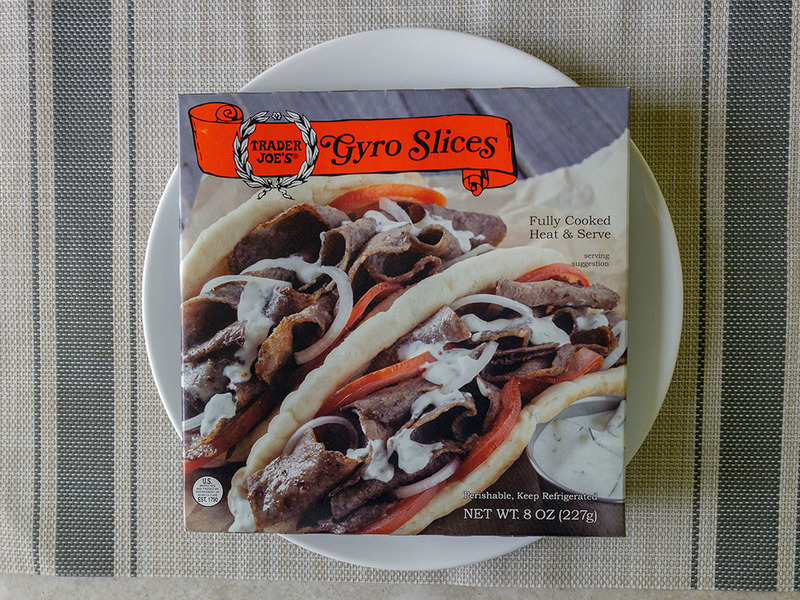 Seriously, I’m continually impressed by the level of quality at Trader Joe’s, not least considering the relatively low prices. You can add these zoodles (that’s the cool kids name for zucchini noodles don’t you know) to the list of worthwhile purchases from Trader Joe’s. 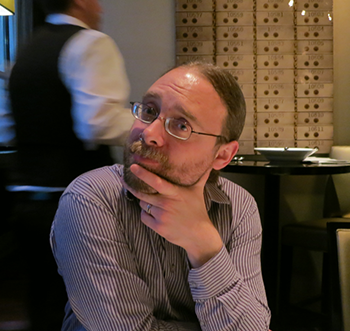 Well with one small caveat. 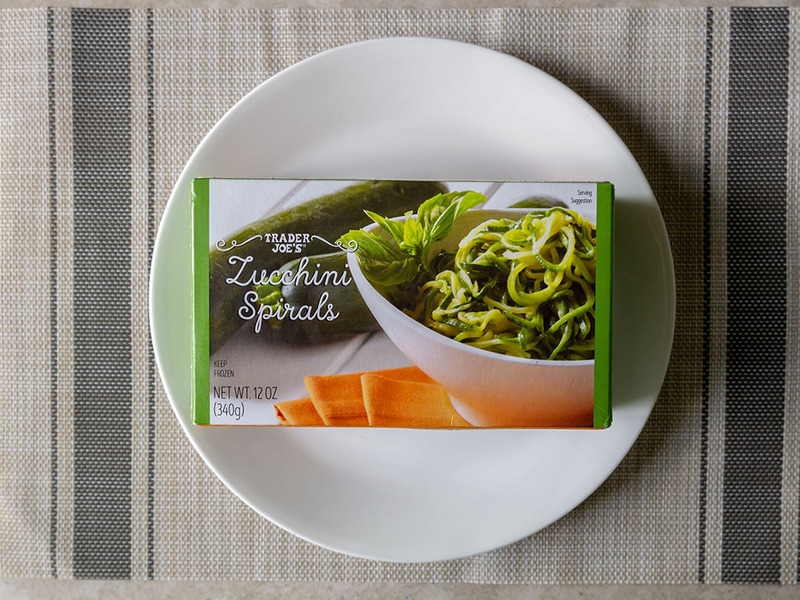 This product is perfect for dipping your toes into the world of zucchini squash noodles. You can take the zucchini straight from freezer to pan, and have a plate of noodles in just a few minutes. No fuss or mess at all. That’s the headline plus point here, these are ultra convenient. 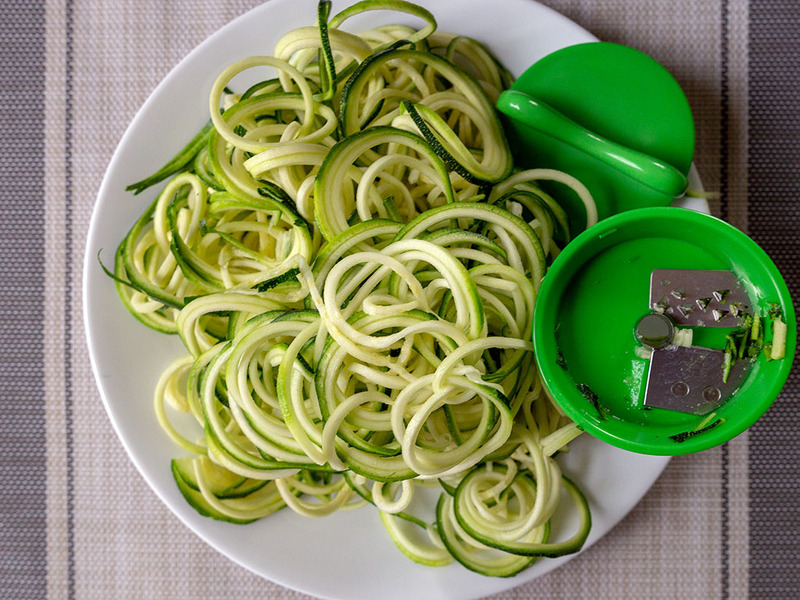 If you find you really like zucchini noodles, I’d actually recommend going ahead and buying a solid spiralizer (check out our review of the OXO spiralizer) and making them by hand. 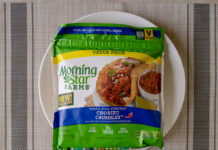 It’s a really quick and painless process, adding barely another five minutes to your cooking time. 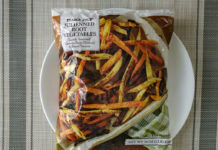 Honestly, I’m a convenience fan like the next guy, but spiralizing by hand is so so simple, and great fun too. I personally prefer them fresh too. 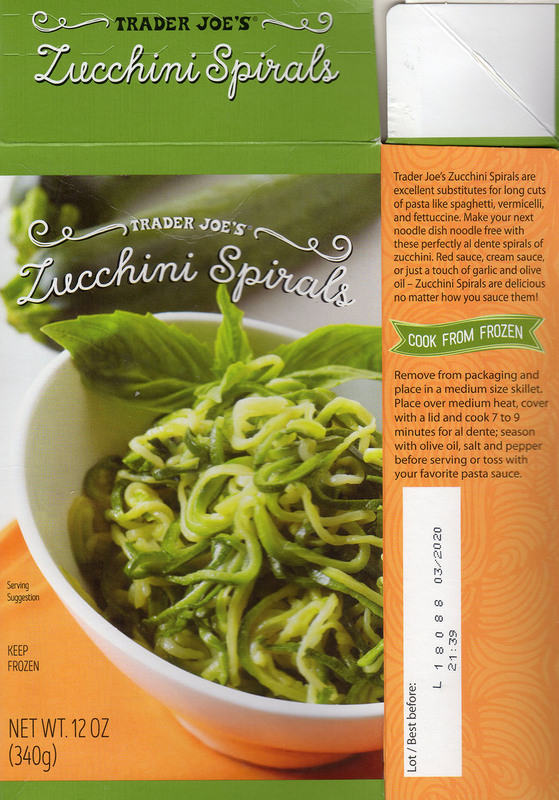 There’s nothing wrong at all with the Trader Joe’s zucchini noodles, but cooking in the pan from frozen, I do find that they come out on the mushier end of the spectrum. Cooking from fresh yields a firmer zoodle, which you can happily just cook longer in t he pan if you want to be softer anyway. When I cook from fresh I also sautéed the zucchini in a little olive oil which I prefer from the braise/boil in water of the TJ product. 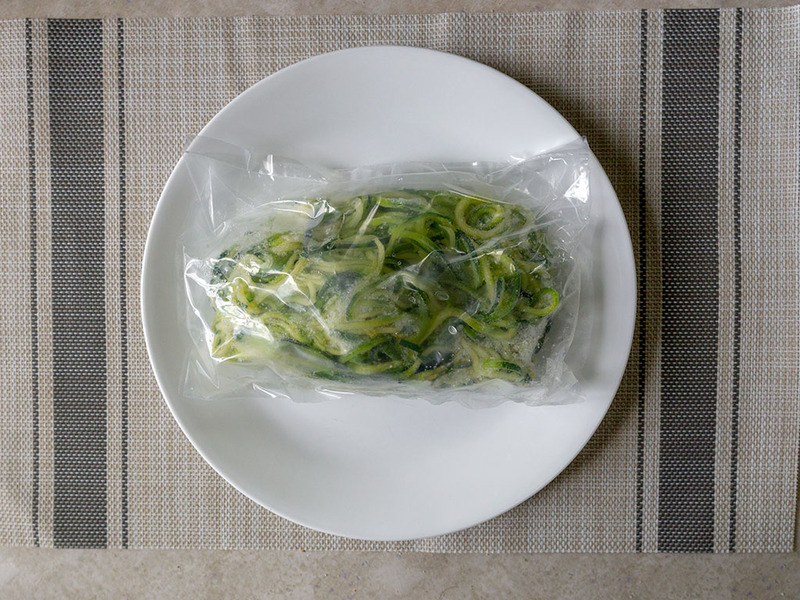 Inside the cardboard packaging you’ll find all the zucchini noodles sealed in a plastic bag. 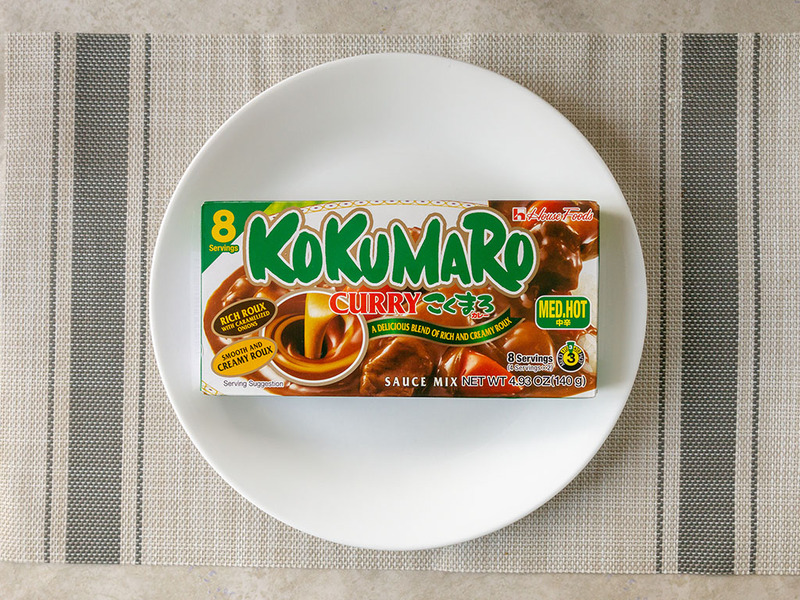 You have to open and cook the whole package in one go – its basically one huge frozen block. 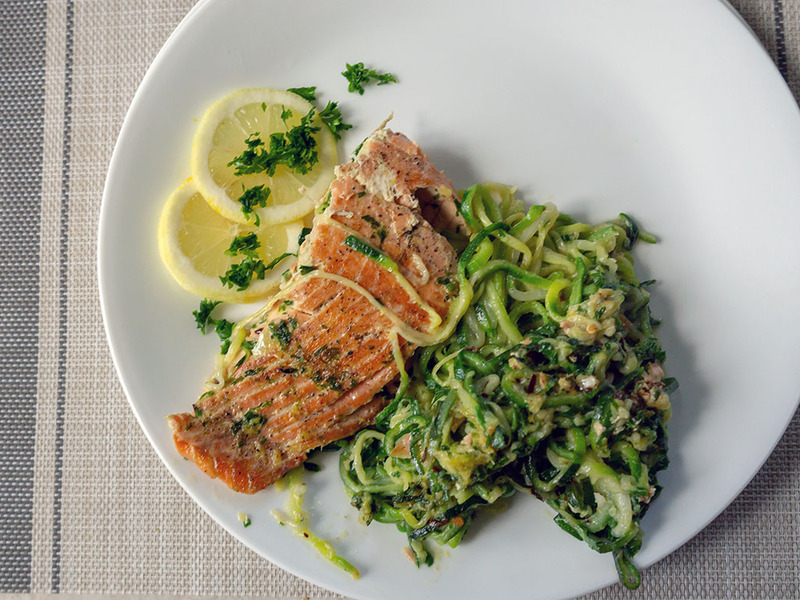 I’m a big fan of serving zucchini noodles with salmon in a parsley lemon sauce. 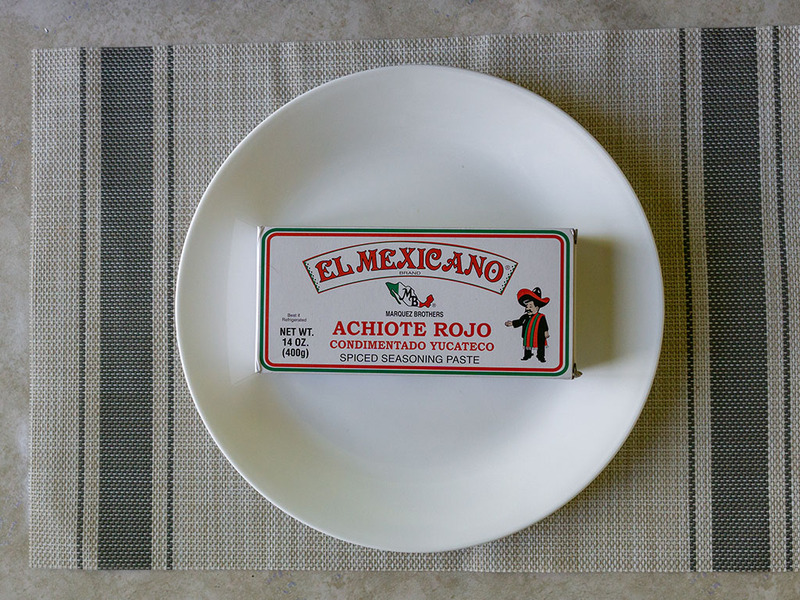 Here’s a plate created using the Trader Joe’s product. You should be able to note the slightly mushy texture in this picture. For comparison here’s a plate where I spiralized the zoodles myself with the OXO Spiralizer. Sure the plating is a little tidier, but I think it highlights the difference in cooking zucchini noodles from frozen vs fresh. In fairness neither is the right or wrong choice, it just depends on your own preference. 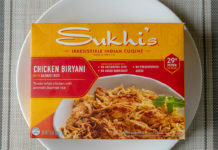 These are insanely simple, you literally just add the frozen contents to a pan and slowly heat. There’s enough water from the frozen zucchini and surrounding ice, they’ll cook happily in that alone. Again, this couldn’t be simpler, the product is literally just frozen zucchini squash.